SOMO AVENUE SLEEPER! Don&apos;t be fooled by the drive-by on this home as it is much larger than it appears!Sprawling ranch has a split bedroom design with one bedroom/full bath off the living area and three bedrooms/full bath and laundry room on a seperate wing of the home. The heart of the home is living/dining/kitchen area with original hardwood floors and a brick woodburningn fireplace. A south facing 3-season room is off the living room plua a large fenced deck/patio off the dinging room at the rear of the home. There&apos;s a 2nd sunken living area with wood burning stove off the main area for additional room to spread out. Partial unfinished basement contains the mechanicals which include forced air/central air. 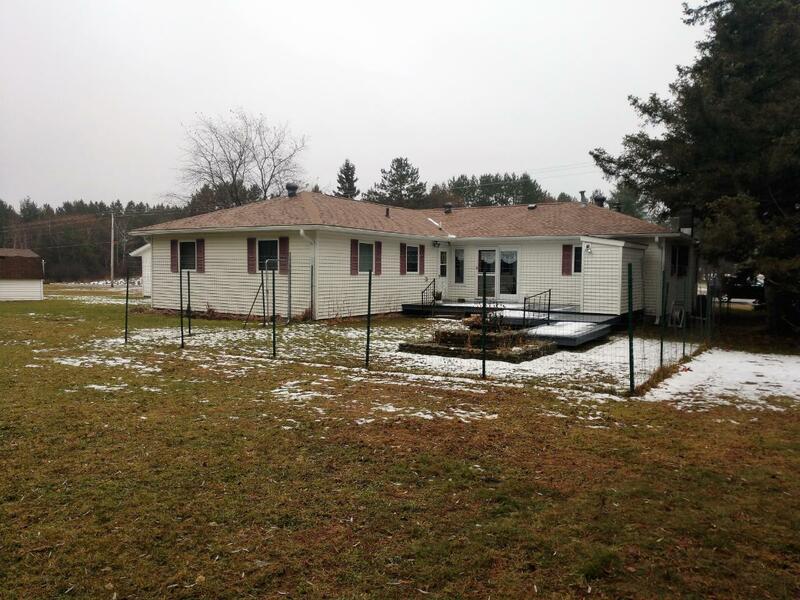 1 1/2 acre yard has a variety of trees, garden shed, & detached 2-car garage. Easy access to Hwy 51 for commuting, near shopping & recreational opportunities. Newer roof, furance, water heater. Seller just purchased but is relocating back south by family. Great opportunit!